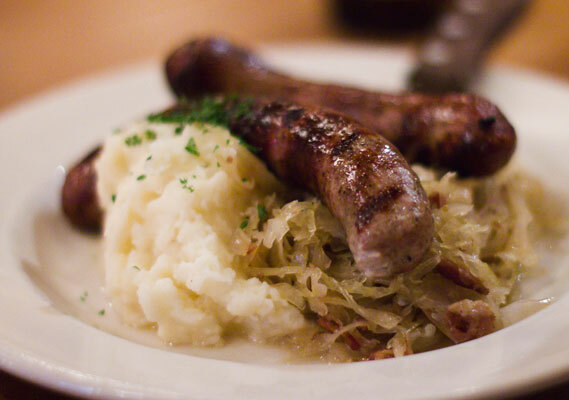 If you’ve been craving a fat bratwurst or crispy potato pancake since the day you were prescribed the gluten free diet, look no further then Speisekammer in Alameda, Ca. This authentic German restaurant serves many of the native dishes and offers the letter G next to menu items that are gluten free (they also feature vegetarian dishes). 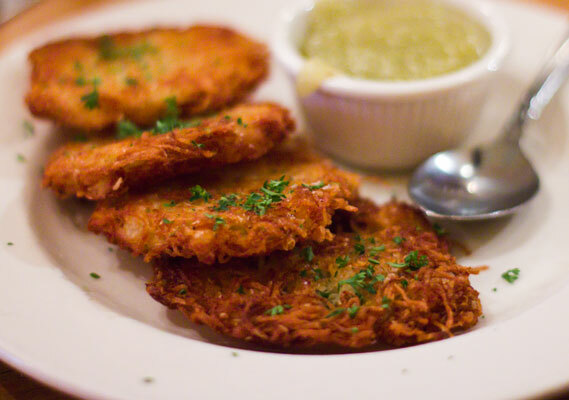 Although you won’t be indulging in wiener schnitzel, you can partake in all sorts of wonderful German favorites like a grilled salmon fillet with a cucumber dill sauce, bratwurst served with mashed potatoes and sauerkraut, smoked trout, and my favorite, the potato pancakes with apple compote. Speisekammer offers plenty of outdoor seating, making it a great lunch spot in the summer… their cozier dining room is just as enjoyable during winter months.